Former Salk baseball player and alum Griffin Spires ( far right) home for Christmas from his duty with US Army. 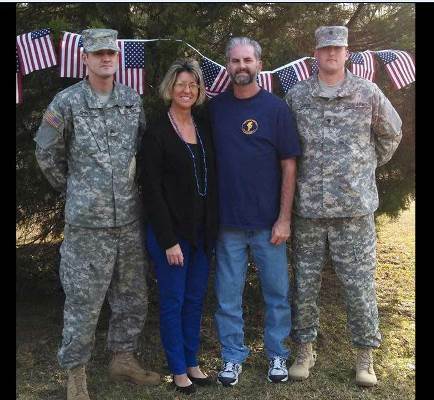 Pictured with his brother , Matt ( National Guard) and mom and dad. Thank you for your service, Griffin! Proud of you and your wonderful family and glad to have you as part of our Salk family.